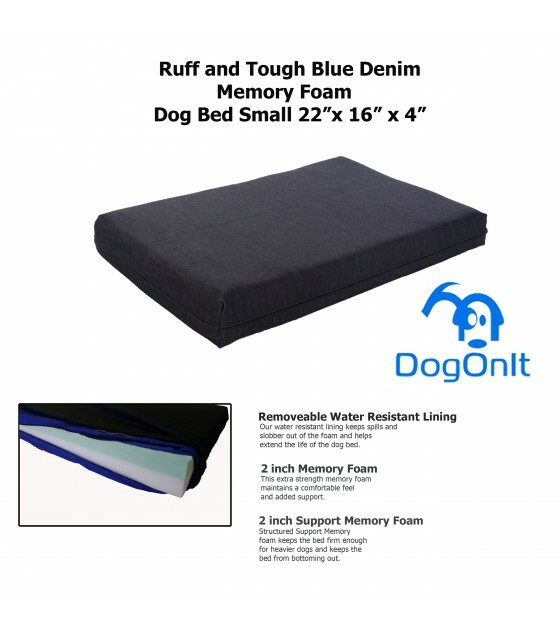 Memory Foam Pet Bed 22" x 16 x 4"
Dog On It pet beds are made from 20 years of mattress ingenuity. We have been making ultra luxury therapeutic memory foam dog owner beds for almost 20 years. Because we don't know how to do it another way. These large handmade dog beds are built in the same workshop with the same materials as our people mattresses and are made to last for years of use just like our mattresses. We are currently offering Free Shipping in Canada, US, International to all Sidoop customers.